1) CLIPES FRAMA, is the same as the other clips on the market? R) When launching this product, Frama thought about offering the market an alternative more economical than the ones currently offered. So, Frama developed its products with lighter materials, without harming its functionality. 2) CLIPES FRAMA Fulfills with its objective? R) Yes. 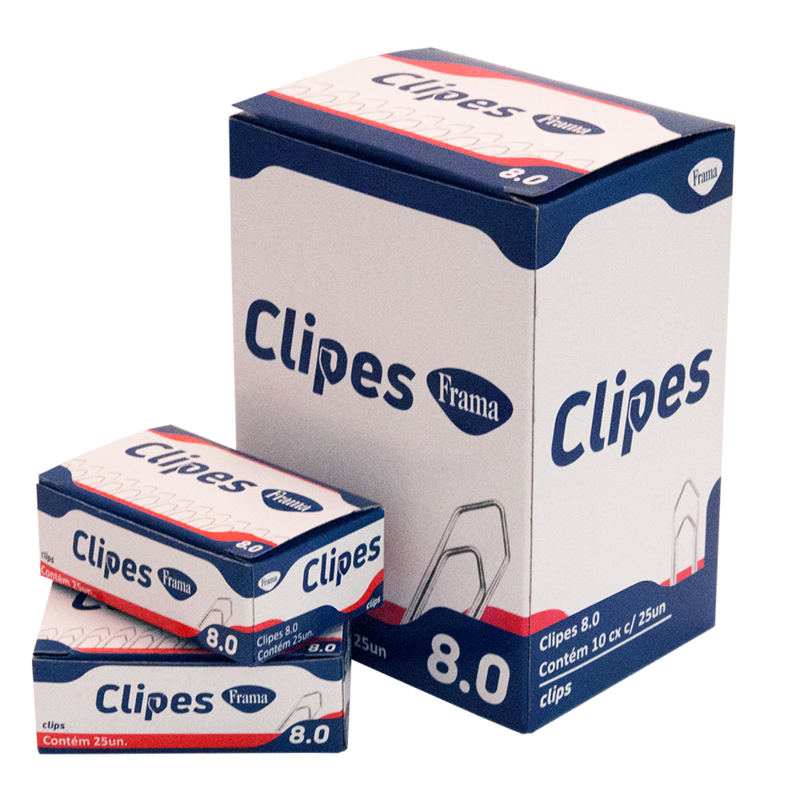 CLIPES FRAMA perfectly meets your goal of grouping paper. 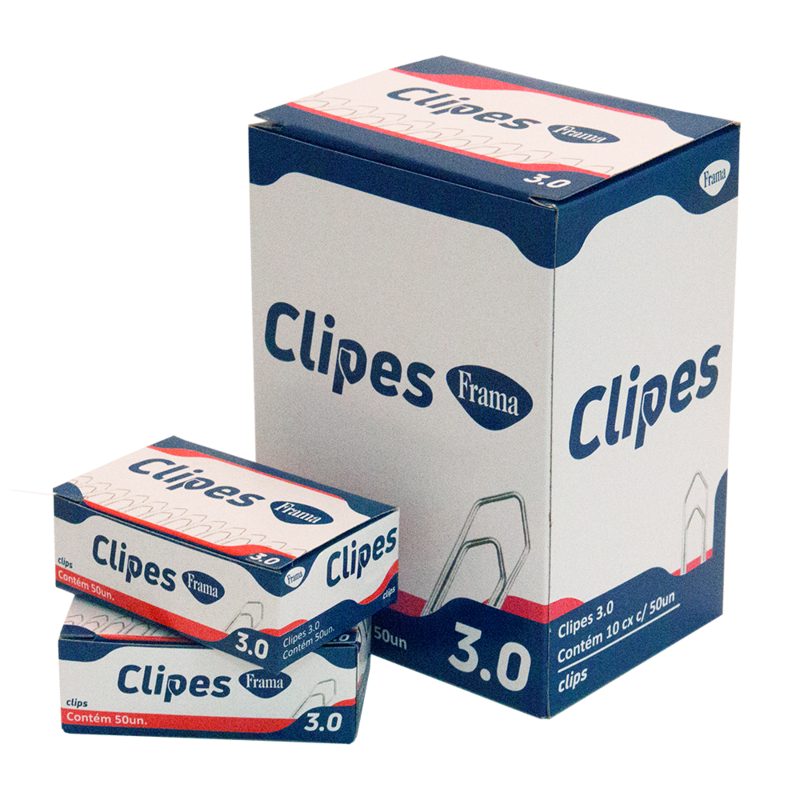 3) How many paper sheets can be grouped with each size of CLIPES FRAMA? 4) Does Frama sell the clips by weight? Art. 1 - The indication of the nominal quantity of products "paper clips", "paper clips, handicrafts and industrial use, presented in barrels" and "barbecue sticks" must be made in number of units. Sole paragraph - Concomitant to the compulsory indication mentioned above, it is possible to be indicated in legal units of mass, provided that it is carried out in characters of smaller size and prominence. 5) What is the weight of the large cartons of the Frama clips? As shown above, the number of clips per box follows the market average. 6) What are the logistic data of the master packages? 7) What is the NCM (tax classification) of the clips? 8) What are the measurements and thickness of the FRAMA CLIP wire? 9) In the large cardboard boxes are the clips packed in sachets? R) In this first batch of production the clips are not in sachets but, in the next one, they will come with this improvement. 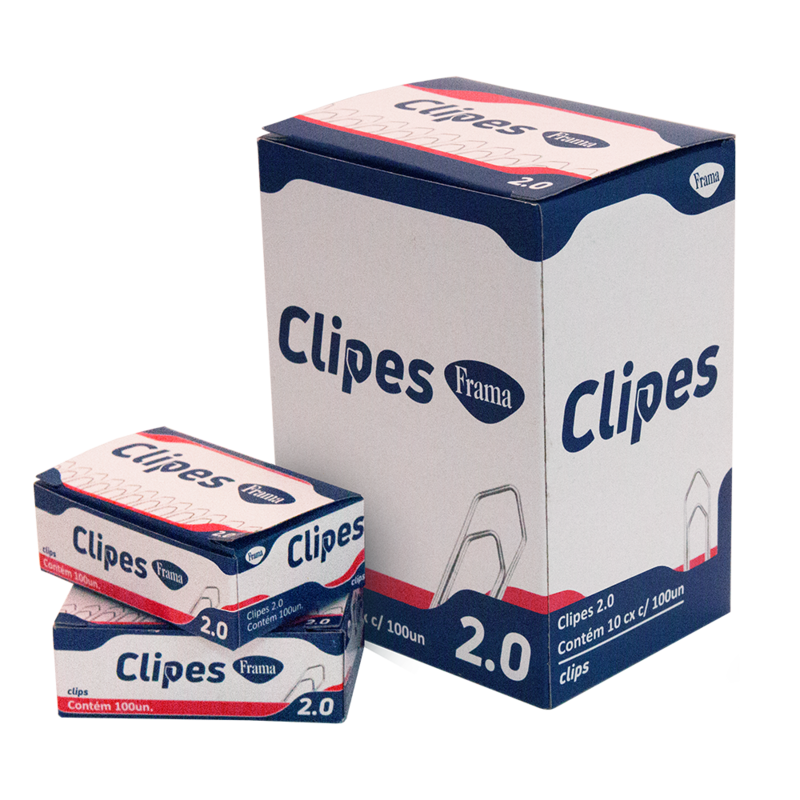 10) What are the advantages of CLIPES FRAMA in relation to other brands in the market? R) We work with a galvanized product with superior quality of coating, which gives it greater resistance to rust. It is a more rational and economical product with no loss of its functionality.